Ardiente is a 55+, age restricted community with a bevy of amenities, and an active event calendar. Homes in Ardiente range from just over 1,200 square feet to almost 3,000 square feet. There is something to suit every budget and lifestyle. 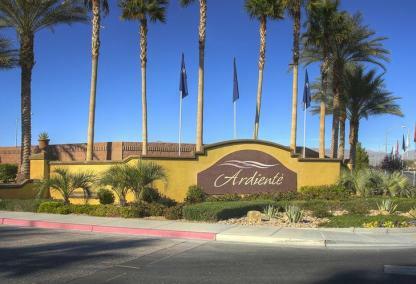 Situated in North Las Vegas, the neighborhood of Ardiente is located off E. Tropical Parkway, close to the I-15.